commercial collection agency, then you are leaving money on the table. 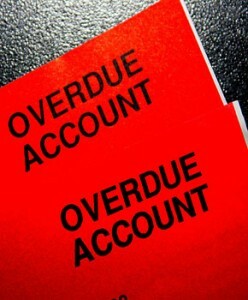 Many businesses, especially small and medium size businesses will ignore the possibility of collecting overdue accounts with help from a professional agency. There is an attempt to collect internally, using employees in the accounts receivables department, but it ends there. A business owner needs to understand that this is a specialized area of business and there are companies that have the knowledge and skill set to recover much of the debt that has been deemed uncollectable by a business. A commercial collection agency will often work on commission basis, taking a certain percentage of the money that they are able to collect from the debtor. This represents money that a business would not have been able to collect on their own. Much of this money is collected by an agency in the first few weeks that the accounts are given to them. This means a fast infusion of cash to your firm along with an increase in cash flow from a source that was unexpected. There is very little downside to using a good collection agency regardless of the size of the company. For large corporations it can mean a substantial savings on labor by simply contracting this work out; and if the agency represents any increase in efficiency in collecting these debts, and they usually do, that will mean a greater cash flow. There are a variety of services that are offered to a business, not the least of which is the collection of international debts. Many businesses are at a loss to know where to begin in trying to get the money owed to them. But there are many good agencies that offer this service, some of them even have a specialty in the field. In many cases an agency can help locate a debtor that has moved without leaving forward contact information. Skip tracing is a skill that most companies outside the field of debt collection do not have. It is a combination of knowledge and skill that takes time to develop. With the case of commercial debt, there are many who walk away from a business while still owing money. These people can be found, and when presented with the debt owned, will often pay. Along with locating the debtor, a commercial collection agency can apply a variety of techniques that enhance the probability of recovering the money owed. Cash settlements for a reduced amount owed are one example. Others include final demand letters, as well as assistance in bringing legal actions against a business when necessary. Each business has a different set of needs for debt collection, so there are going to be a different approaches as well as different degrees of effort that are needed. Prices will vary from agency to agency, therefore, it is important to gather the necessary information to get a quote on the work that will be needed to help you start getting the money owed to your company.